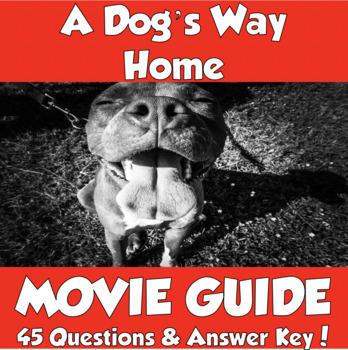 The 2019 film, A Dog's Way Home, is based off of W. Bruce Cameron's book by the same name. 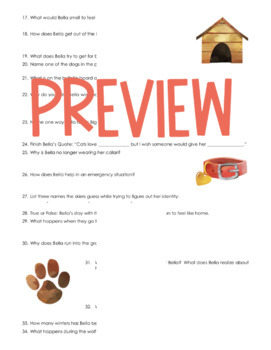 The story follows a young dog, Bella, and her journey to find her way back home. This film's theme of home, love, and resilience lends itself to great discussion after the film. The film stars Bryce Dallas Howard, Ashley Judd, Jonah Hauer-King, and Alexandra Shipp. 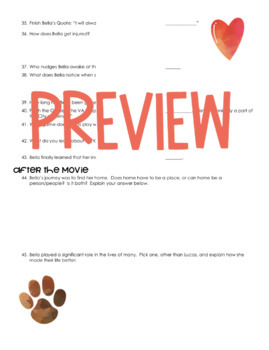 This film would be a great addition after reading the book, it could be used for an End of Year Film, last minute lesson, sub plans, or a lesson on home. 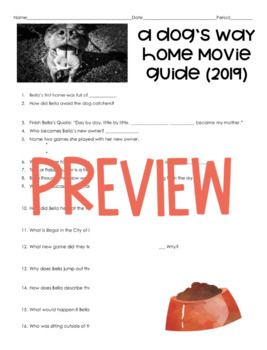 My movie guide contains 45 questions and an answer key has been provided for your convenience. The film's runtime is 96 minutes and it is rated PG for thematic elements, some peril and language. I would allow for some extra time since there are two questions to answer after the film and you might want time to discuss the film. By purchasing this item, you agree to use it for your individual classroom use only and will not share with others, post online, or claim as your own. Additional licenses are available for a reduced price.